Who doesn’t like cool gadgets? Not only are they fun to use, but they can really make our everyday life much easier than before. Of course, not all gadgets are useful (remember the typewriter?) and many are meant only to make us spend a lot of money on something we don’t even need (we’re looking at you, Apple Watch users), but that doesn’t mean that you can’t find something really good out there. For all of you fitness geeks out there, we give you a list of awesome fitness gadgets for fitness geek that actually work. This is something every avid swimmer has been dying to get their hands on. Waterproof headphones are great for those who are passionate about swimming and who always envied runners because they could listen to music while working out. Luckily, today you can pick from several high-quality models (Bragi, Finis, and Sony are among the best) and not have to worry about ruining them after submerging them in water. Now, some might not be cheap, but you should always put quality over quantity, as you want your par to last for a long time. Weighing scale is something you should always have at home, especially if you’re serious about your workouts and watching your weight closely. Still, there is something new on the market you should look at: weighing scale that tracks your BMI (Body Mass Index) as well as the body fat percentage. 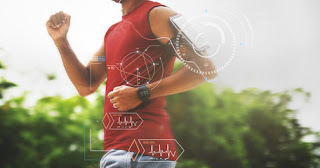 The best thing is that you can even find a model that can track the data of several people (Firbit Aria tracks up to 8 users) so you can monitor your own progress as well as the one of your workout partner. 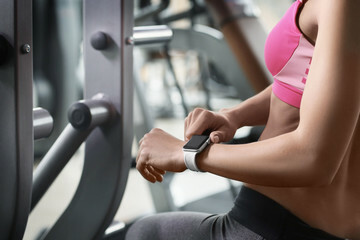 To make it even more fun, you can sync it with your phone or computer and you’ll be notified when you achieve a fitness goal. Fitness trackers are always a good investment, as they can measure the time you spend moving because they come with a motion tracker and remind you when you should keep going if you’ve been idle for too long. For those who are really passionate about their workout and active lifestyle, it’s always better to get the one whose battery lasts longer, and some models’ battery can last up to a week (Fitbit Flex model). Just pick the design and the colour you like and you’ll be able to keep track of the number of steps you took, calories you’ve burned, as well as the distance you’ve covered during the day. We all know that drinking more water during the day is imperative, but it’s not always easy making yourself do it. Today, you can get a gadget to help you in this mission as there are various smart cups and bottles for you to choose from. The number of available devices has increased significantly, but a really good smart water bottle should be able to do more than just track your water intake. It should also use a mobile app to remind you when to drink and to create different charts and set up new goals. H2OPal and Ozmo Active are among the most popular ones, but the best thing is that you don’t actually have to be an athlete to use it. Ordinary working people can also benefit from these bottles and they can stay healthy and hydrated. There are some serious ‘next generation’ bike lights out there you should check out: Blaze laserlight that has built-in sensors and that can recognise road scenarios (approaching car headlights for example) and flash brighter and faster; while See.sense light will project a laser bike outline which will shows up under streetlamps, making you more noticeable. If you’re not sure which bike model is best, you can easily compare bikes online to find the model that will fit your needs and then see which gadgets you can get to make it even better and more reliable. READ 15 Important Fitness Tips That Will Improve Your Workout Routine. Jump ropes are great, but weighted jump ropes are even better because they allow you to get more out of your regular workout. 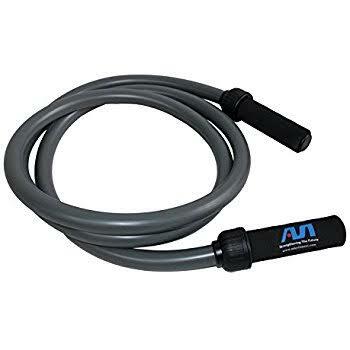 Step your game up with a weighted jump rope, but try finding a model that will allow you to pick the weights you want to use so you’re not only stuck with one. Crossrope jump ropes have a durable wire core coated with PVC which means you can use them outdoors or in the gym. What is more, you can swap the handles from rope to rope and use lighter weight if you’re working on speed or heavier ropes to build strength. You don’t actually need to use any gadgets in order to stay fit and healthy, but having a few close by might actually help you stay focused and motivated. They are built for people whose priorities are staying healthy and working out, but also having some fun along the way. Use the ones which will help you make the most of your workout and keep you on track when it comes to your health in general. Using this gadgets will make achieving your fitness goals this 2018 even easier. READ 7 Essential Safety Tips For Workouts. I always get more amped about working out and eating healthy when I can get my hands on the best gear. This is a great list that would help anyone trying to change their lifestyle! My husband would hands down love the water proof headphones, while I lean more towards the new generation scale! Haha. Thanks for the tips! Love the look of those bike lights! Those would come in handy when I'm out on the road. Such a great list! I would be lost without my fitness tracker, I've sworn to myself that the day it ceases to work I will order a new one right away. I also love the sound of the smart cup, it looks like a good idea if I was working – when I would normally drink less water. These are all really great products for the fitness geek in your life! I've been wanting one of those fitness trackers myself. I am a gym freak. I am so excited to look at so many great products, the speed rope, the ear piece and the fitness tracker! I have been thinking of getting a fitness tracker and I shall consider this. Thank you for sharing these cool gadgets! I really like the those bike lights! So much gadgets to help you get fit! Now there's really no excuse to exercise and workout! Lol. I think these are great. I agree that you don't need these to get fit but they do help make the job easier! These are great recommendations. 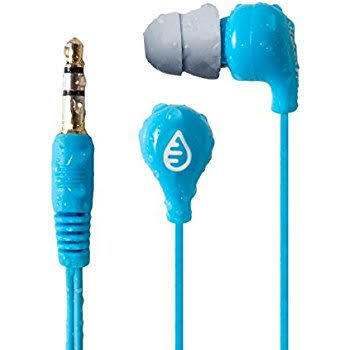 I really like the idea of waterproof headphones, great idea! I had no idea water bottles had become so smart! I love it! I also love my weighted jump rope! I HIGHLY recommend! These are great gift ideas. my friend's birthday is coming up and she's a triathlete. She would REALLY appreciate that scale! I think she has almost everything else. 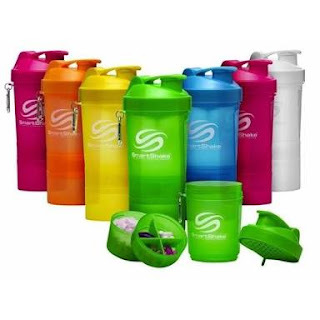 Some amazing products and gadgets for a fitness freak and for regular use. I need to check the waterproof headphones and the smart cups. These are some awesome gadget lists. I really like this Waterproof headphones and the smart cups. These gadgets are really cool. Most of these are needed in daily routine. 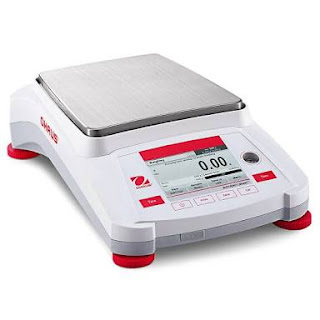 I really like that next generation weighing machine, will opt for me. 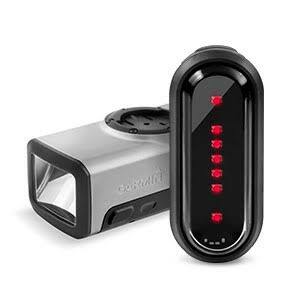 I like the idea of the smart bike lights. I do cycle quite a lot and I have been in so many situations, especially by night, when drivers didn't see me and almost caused an accident. The classic lights are not enough anymore. Those headphones, do they stay in your ears well. I am constantly fiddling around with mine and they annoy the heck out of me when I am moving around. These are great ideas! I need to get back into getting fit for sure! Haha, I was always convinced that I needed the perfect equipment before I could start doing something. I'm still not fully recovered from that conviction so I can see how these gadgets could be useful when one's working on getting fitter. I love the weighing scale, and the waterproof headphones! Not really my type of products, not much on working out but great gear for my eldest son. I adore the headphones. Having them be waterproof is a fabulous idea when you're out running! Real cool fitness gadget. Won't mind getting some of them especially the fitness tracker and the next generation weighing scale.